When I get interested in something, I go all in. I spend all my time with it, and this is exactly what happened when I found fitness in 2015. At first, everyone thought it’s just a phase. But after almost 3 years in, the passion just keeps on growing. During my last year of business school, I realized I do not want to work 8-16. I wanted fitness. 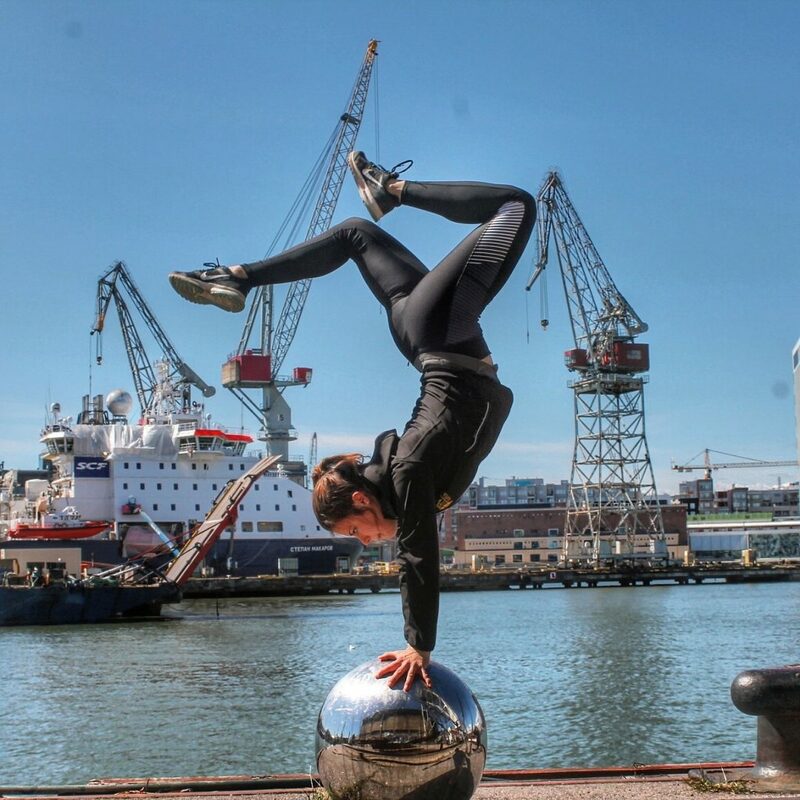 So I decided to get creative… After one of my training sessions at Saiffa Dance School, I walked up to Johannes Hattunen and asked if I could write my thesis for TFW Helsinki, his newly opened gym. He said “yes” without hesitation. He also offered a spot as a member at the gym, so I could do my research properly. I will never forget my very first 7 am hurricane training. I was filled with so much positive energy! It was hard to believe how I ended up here so easily, just by daring to walk up to my biggest role model for an opportunity I created. I spent the entire summer at TFW Helsinki. At this point, I was working in a restaurant. I have always been a person full of energy, but the first months at TFW have taught me more about myself than I could ever have imagined. I learned that it is perfectly fine not to fit in. That ambition is good! It started to show on my work as well. I became less interested in having crazy nights out. I stopped hanging out with my old friends because I couldn’t stand the negativity. I felt alone. But knew I was doing something right. My energy wasn’t wasted anymore. It was invested! Jarno Keskinen told me he needed coaches with passion and energy. I was ready to give it 100%. In October 2015 TFW Vantaa opened. I had for the first time in my life a job I cared about. I did few more sports certifications and became a TFW level 2 coach. I finally graduated from university too. I was working hard and becoming a coach made me realize it’s not only about me anymore. I became a role model. Training For Warriors values had become my lifestyle. This year TFW Konala opened its doors and just a few months ago I joined its coaching team. The community keeps on growing because positivity works! It’s not really about the training. I can do that by myself. It’s about the one-of-a-kind positive energy. This is the place where people get the right attitude. Where people learn they shouldn’t settle. Where being different is appreciated and supported. You are welcomed into a huge family and start doing things you have never thought you would be able to do! Let me repeat this: you will be doing things that few weeks or months before you thought were impossible. You learn to open your mind and realize that if you are willing to put in the work, you can achieve anything! As a living example of that, in less than 3 years I went from being able to do 3 pull-ups all the way to the 6th place at Street Workout World Championships. I say anything is possible if you really want it!